Home / Blog / 2019 Stone Trust Calendars now on sale! 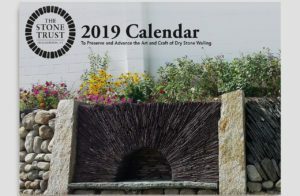 2019 Stone Trust Calendars now on sale! The Stone Trust publishes a calendar every year featuring some of the finest work by DSWA-GB certified wailers from across North America. Each month focuses on a particular waller and includes a biography and and project description. Full of beautiful images, the 2019 Calendar is now on sale for only $5 (originally, $12).